R&D - Analytical Engineering, Inc.
AEI specializes in the design and construction of turnkey engine systems for specific applications. Integrating prototype fuel systems with VG turbochargers, EGR, and exhaust aftertreatment can be a complex task. 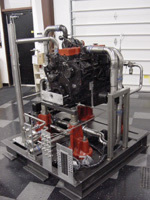 AEI has worked with a variety of customers to build these custom engines. Illustrated in these pictures are projects where the customer required a “plug and play” engine system that could be used to demonstrate future world class emissions capability. 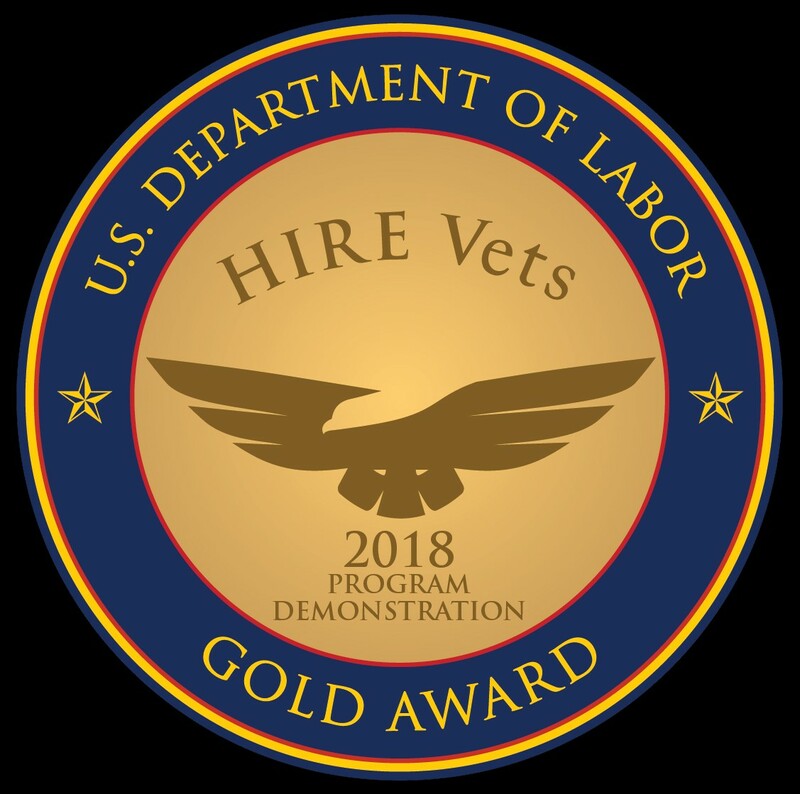 AEI worked with the customers to design the system, procure or make the hardware, and build the entire test stand system for both functionality and show quality for demonstration purposes. The capability to measure gaseous species at various locations in the exhaust treatment system allow AEI scientists to more fully understand the chemical and physical property performance of a given aftertreatment system. Shown is a system that was built for a client to support PM trap development. This capability has helped many customers optimize catalyst compositions. 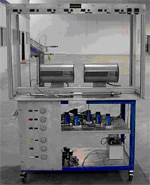 A catalyst research bench was designed and constructed for a client for three and four way catalysis research. 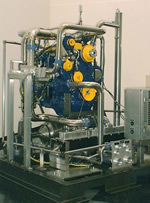 Capable of 800°C operation, this computer-controlled system is capable of delivering exact mass flow mixtures of up to 7 gases. A humidity control system in conjunction with digital mass flow controllers allows for cocktail gas mixtures to be exactly controlled in order to study candidate catalysts.